Perfect for pairing with your favourite Joules tankini or bikini top, the Women's Joules Rimini Tankini Shorts are sure to complete your poolside look in style. Featuring an all over unique to Joules print, we know that you will love the on-trend feel that the Rimini shorts offer. They have been crafted with a touch of elastane to keep you comfortable all day long. Pair the Women's Joules Kendra Bikini Bottoms with your favourite Joules swimwear top and flip flops to complete you super stylish beach attire with ease. Crafted with a touch of elastane for ease of movement, you can swim and relax all day in comfort whilst looking super on-trend! 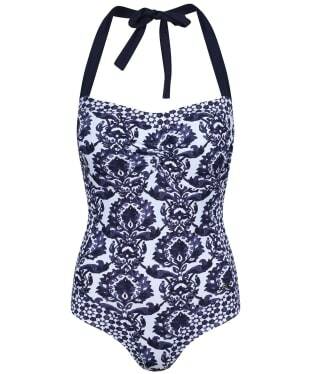 Head out onto the beach in style with the Women's Joules Prudith Halterneck Swimsuit. Whether you are flying out or enjoying the sunshine closer to home, this swimsuit boasts an all over bespoke Joules print, making it perfect for offering an on-trend feel to your swimwear collection. Crafted with elastane for ease of movement and comfort, the Prudith is ideal for swimming and relaxing. 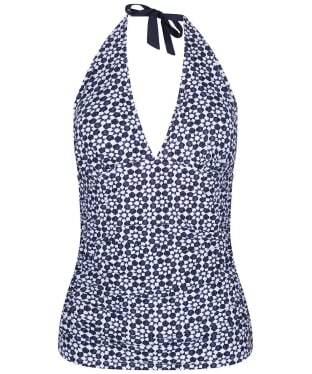 Head out to the beach in style in the Women's Joules Oceanne Halterneck Swimsuit! 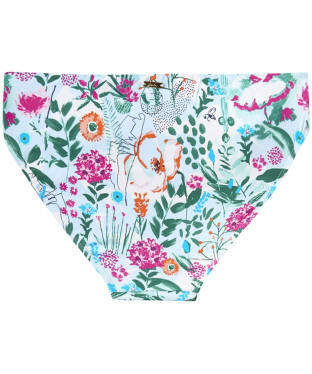 Boasting a beautiful bespoke Joules print, you are sure to love this stylish swimsuit. Crafted with elastane to help you swim or relax by the pool in comfort, this pretty piece of swimwear is perfect for packing in your suitcase whether you are jetting off abroad or staying closer to home. 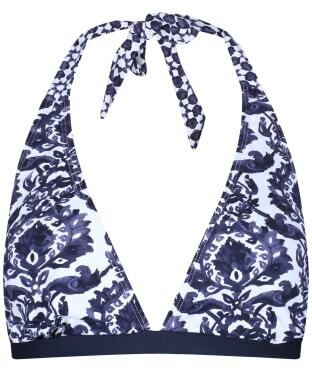 Perfect for pairing with your favourite Joules swimwear bottoms to complete your stylish holiday look with ease, the Women's Joules Marissa Tankini Top is a fabulous choice for whether you are relaxing by the pool or on the beach. Designed with a halter neck for a flattering feel, this tankini top boasts an all over bespoke Joules print for that on-trend finish. The women's Barbour Renishaw Bikini is ideal for completing your beach style this season, or completing the perfect poolside look. This stylish bikini boasts a striped design with the Barbour Beacon logo running throughout creating a stylish nautical theme you are bound to love. For added wearability this bikini features underwire support, adjustable straps and low leg, high waisted shorts to offer you a flattering fit. Stroll along the seafront in style in the Women's Joules Rimini Tankini Shorts, featuring Joules beautiful bespoke print, sure to keep your swimwear ensemble looking on-trend! The tankini shorts are elasticated for ease of movement, whether you are swimming in the sea or relaxing in the pool, you are sure to feel comfortable. Pair with your favourite Joules beach cover up, and tankini or bikini top to create a fabulous holiday look that you will love.